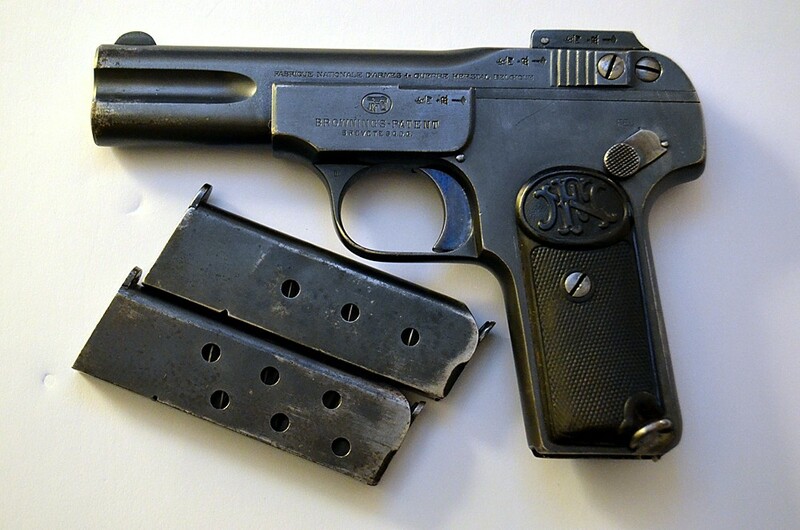 I bought this FN Model 1900 7.65mm (aka .32 ACP) a few years ago. Nothing special about it other then it's been around for a long time....the other one has a more interesting history! In Buenos Aires there is a great small arms (and some artillery pieces) museum called La Museum de Armas de la Nacion, at the Circular Militar. It is a pretty comprehensive history of firearms in Argentina including other nation's firearms used by Argentina, Argentine made guns, and presentation pieces. 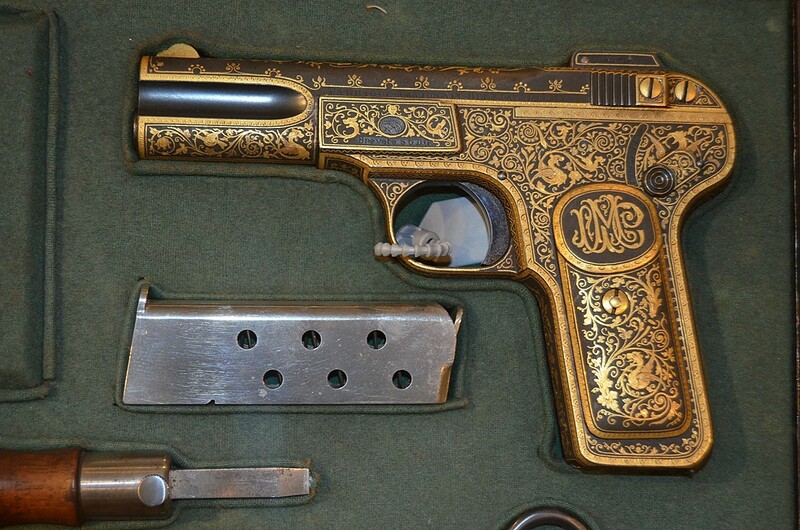 Here is an absolutely gorgeous FN Model 1899, in gold filigree; a presentation to either an Army General or the President of Argentina at the time - I can't remember which.